This luxurious, softer mattress is sure to satisfy even the most demanding of customers. The upper side consists of a five-zoned layer of lazy foam, which maximises its firmness when in contact with the human body according to the heat absorbed and guarantees that the mattress can adapt to any load. It provides the body with perfect, even support. 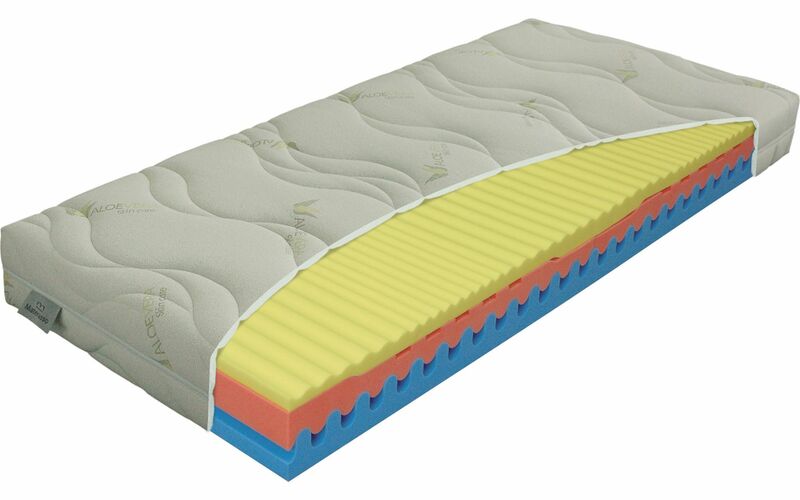 The central and lower parts are made of HR cold foam of high density, ventilated in the middle by special channels that also optimize springiness and the adaptability of the mattress to your spine. The cover, made of Aloe Vera fabric, is pleasant to the touch and highly resilient. It contains substances that act on the skin and help cleanse and regenerate it. The cover is lined with air-conditioning filler. ALOE VERA stitched with PES fibre, 200 g per square metre.